Thank you to those of you who entered our DT call last time around. I haven't had a chance yet to properly check out your blogs, but should be in touch soon, and in the meantime if anyone else is interested in joining our lovely team could you add DT after your name when you enter the challenge below! We are a nice relaxed bunch. There is no pressure to create for every challenge, which is once every fortnight, although ideally you would; and we don’t have sponsors so you won’t have to work with a particular image or item. Mary is hosting today's challenge, Floral Delight. Unless a flower is the focal point of your design, then more than one flower please!! As usual anything you care to enter is fine, a card, scrap layout, mixed media piece, some home decor, as long as it meets the Floral Delight theme. 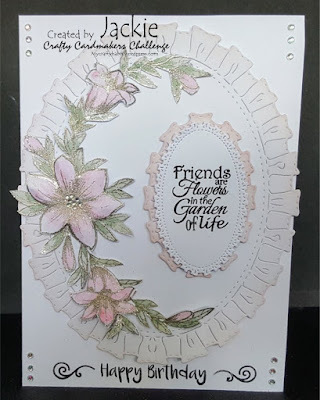 I used dies from Tattered Lace and coloured the die cuts using Promarkers. I've made a Tonic Kaleidoscope box (without the lid) and filled it with hand-made flowers. 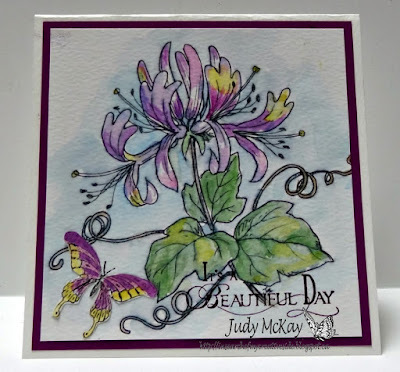 I love Honeysuckle flowers and decided to create my first spring project using this flower. They remind me of my childhood. This digital stamp is by Arty Pants and I coloured the image with water colours. 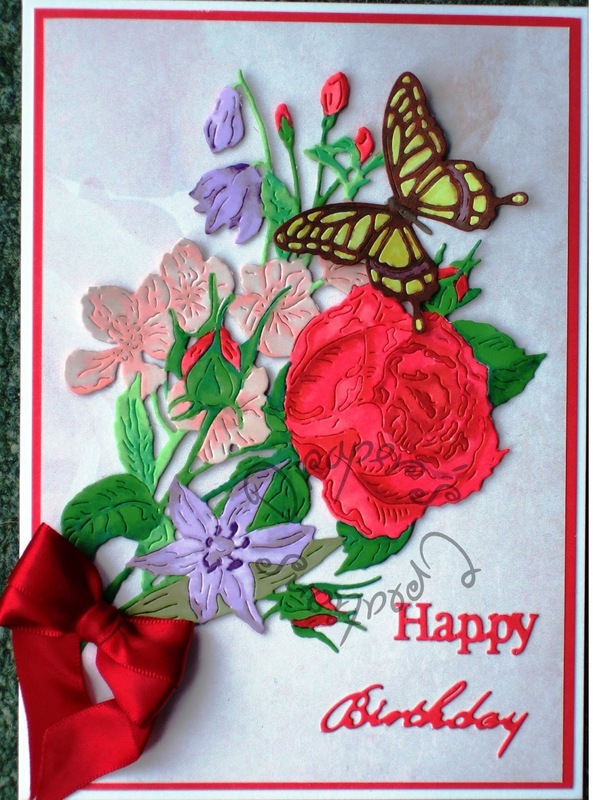 The sentiment and butterfly are rubber stamps from my collection by Inkadinkadoo. 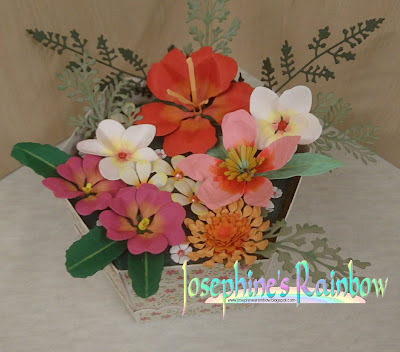 I used floral background paper and three flowers from a garage sale grab bag. 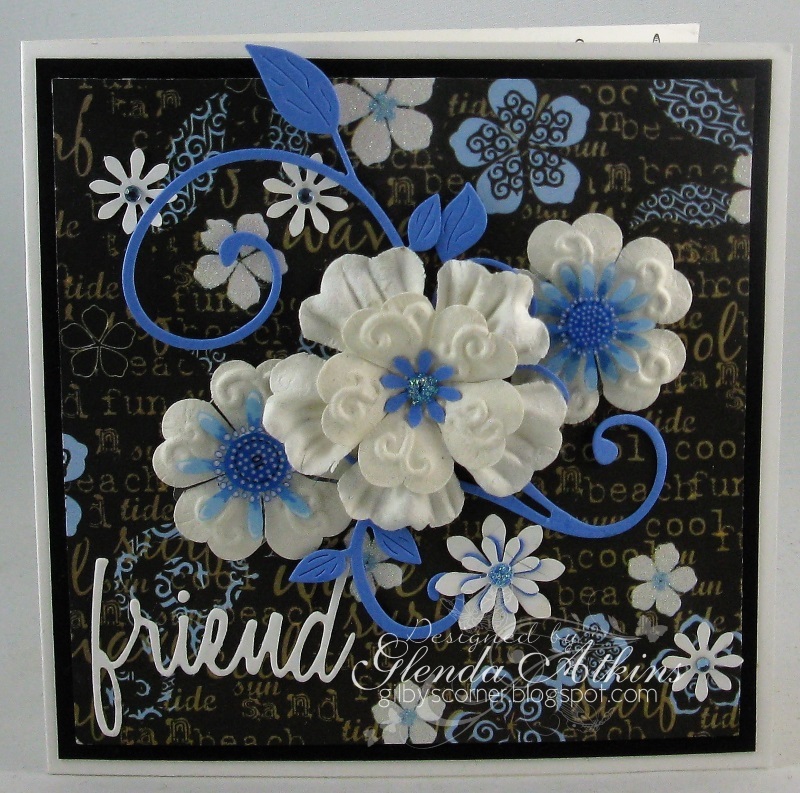 I added some blue centers to the flowers and adhered them over a fancy vine die cut. I added four punched out smaller flowers and made them part of the background. The word sentiment was from a Tim Holtz die. 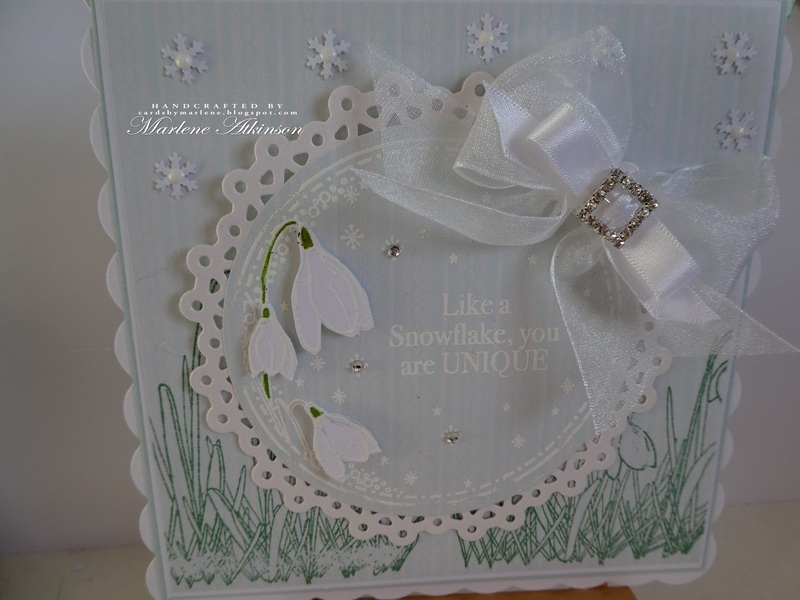 My card was made using tattered lace dies for the topper bases, and a stamp by Chloe, which was embossed and coloured with distress inks. On my card, I have used layers of floral paper as well as two different types of floral laces. There are four paper flowers as the focal point and I have added a Chloe Stem die cut to the cluster as well. Have a wonderful, crafty day!! Hello, I made a birthday card for woman with lots of flowers. We look forward to seeing what you can come up with! 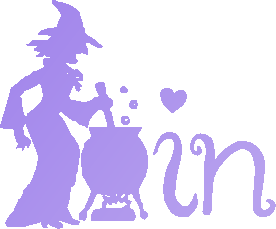 Sorry for forgetting to link up your challenge - updated my blog now. Thank for letting me know! Gorgeous DT work with those Wonderful flowers! WoW!!!! lovely inspirations from all DT members... Love all of them. Thank you for joining in our challenges and leaving lovely comments. An Easter Chick, or a new baby card?